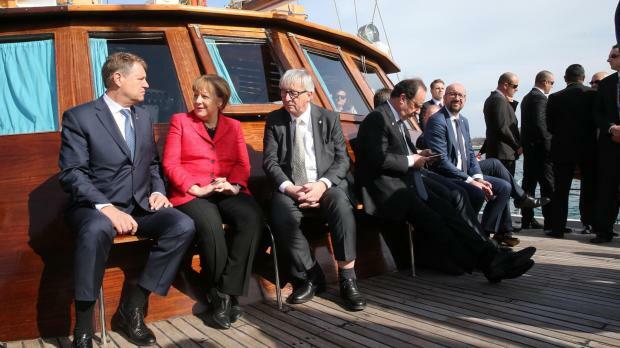 EU leaders have for the first time hammered out a Libya-specific plan, although doubts persist about how workable it is given the country's state of lawlessness. 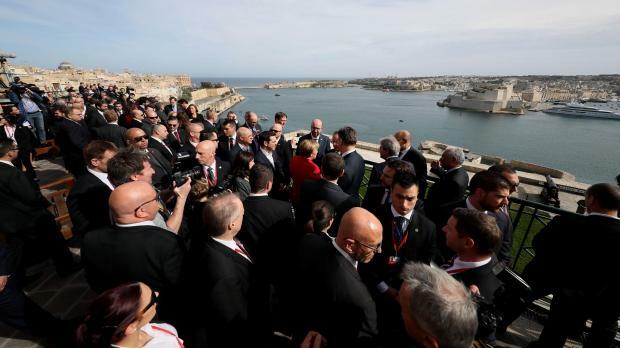 Prime Minister Joseph Muscat said the plan was no silver bullet but expressed confidence it could help stem the flow of migrants from Libya. "We know Libya is in a particular situation but this must not be an excuse to do nothing; if anything it is a reason to do more with Libya," he said at a press briefing attended also by Council president Donald Tusk and European Commission president Jean-Claude Juncker. Dr Muscat said migration was tackled in "a level-headed" manner without resorting to extremes. The Maltese presidency must now hammer out concrete measures to start implementing the plan, which will see the European Commission release an additional €200 million for use on migration-related projects linked to Libya. At the heart of the plan is the wish to block migrants from leaving Libya and attempting the perilous journey across the Mediterranean. It also seeks to disrupt criminal networks that traffic migrants within Libya. The declaration, released after the morning session of the informal summit, makes no mention of asylum procedures although it does argue the EU will act "in full respect of human rights and international law". It has been criticised by human rights groups for trying to prevent people from seeking asylum and keeping them confined in an unsafe country. The plan includes commitments to provide training, equipment and support to the Libyan national coast guard and "enhanced operational action" involving Libya and neighbouring countries to disrupt the business model of smugglers. It also spells out a vague commitment to help improve the socio-economic standing of Libyan communities in coastal and border areas in an attempt to wean them off the smuggler business and get them to cooperate. The declaration also speaks of the need to ensure "adequate reception capacities and conditions" in Libya for migrants in cooperation with the UNHCR and IOM. Member States also welcomed the memorandum of understanding between Italy and the UN-recognized Libyan presidency council on tackling migration inside Libya. Dr Muscat said the Libyan authorities asked Italy for assistance in controlling their borders and improving the camps where migrants are kept. Observers say that the biggest problem remains Libya's instability and lack of proper governance. The situation is also not conducive to safeguard the human rights of migrants inside the country. As expected US President Donald Trump's executive decisions and foreign policy directions were also discussed over a working lunch at Fort St Angelo. Council President Donald Tusk tempered his description of the trans-Atlantic Donald as a threat to Europe, opting instead to use the word "challenge" during the press briefing. According to Dr Muscat, the biggest threat facing the EU was that of member states not standing united in tackling the issues that mattered for ordinary citizens. "Concerns were raised on some decisions taken by the new US administration and certain attitudes it has adopted but there was no sense of anti-Americanism," Dr Muscat said of the meeting. He said there was a realisation that the EU had a role to play on the global stage. The leaders are expected to continue meeting this afternoon to discuss the future of the EU after Brexit, in preparation for the Rome summit in March. British Prime Minister Theresa May will not be present for the afternoon meeting.